Did you know- Uruguayan squad, the host country's team,claimed the first-ever Men's World Cup title over Argentina, 4-2. Did you know- At the II World Cup, Italy, host country, became the first European squad to win a global tournament. The subsequent tournaments were held as follows: 1938 in Paris (France, Europe), 1950 in Rio de Janeiro (Brazil, Latin America), 1958 in Stockholm (Sweden, Europe), 1962 in Santiago (Chile, Latin America), 1966 in London (England, Europe), 1970 in Mexico City (Mexico, Latin America), 1974 in Munich (West Germany, Europe), 1978 in Buenos Aires (Argentina, South America), 1982 in Barcelona (Spain, Europe), 1986 in Mexico City (Mexico, North America), 1990 in Rome (Italy, Europe), 1994 in Los Angeles (USA, North America), 1998 in Paris (France, Europe), 2002 in Seoul and Tokyo (South Korea & Japan, Asia), 2006 in Munich (Germany, Europe). Did you know- Bolivia competed in 1950 but not again until 1994 in the United States of America. Did you know- For the first time, West Germany hosted the global tournament in July 1974. Historically Germany had been competitive in soccer. Under the leadership Franz ("Kaiser") Beckenbauer, the host country-which never finished below sixth place since 1954-- won the X FIFA World Tournament. Outside of the Berlin Olympics (1936) and the Munich Games (1972), this event was the largest ever held in Germany. Did you know- Tunisia (Africa) placed ninth at the 1978 FIFA World Championship in Buenos Aires, Argentina. Did you know- At the 1982 FIFA World Tournament in Madrid (Spain), New Zealand, a rugby-loving nation, had the worst result for its region -Oceania- in World Cup's history. Unfortunately NZ placed 23rd. For the country, it was its first appearance in the universal event. Did you know- At the 1990 FIFA World Championship in Europe,Cameroon's football player Roger Milla, one of sub-Saharan Africa's most respected footballers in the 20th century, helped his team towards eighth position, the best result ever for an African country in soccer history. 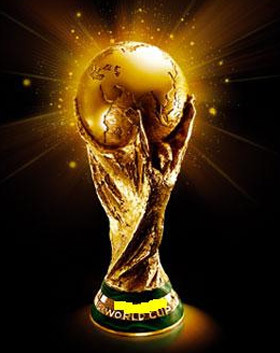 Did you know- Brazil -one of the world's biggest democracies-- has historically been competitive in football since the 1950s.The soccer players from Brazil have conquered five out of eighteen tournaments: Sweden'58, Chile'62, Mexico'70, USA'94 and South Korea & Japan'02. In 1950 and 1998, Brazil was runner-up. By 2010, the Latin American nation is attempting to become the first country to win six World Cup titles in football history. Did you know- The 19th global tournament will be held in South Africa, one of the youngest members of the FIFA. It'll be the largest event ever held in Africa. There's only event that rivals the FIFA World Cup: the Summer Olympics.